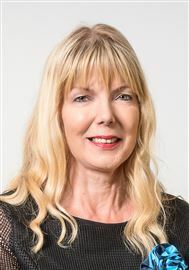 Carol has made Real Estate her career and joins Harcourts with a wealth of knowledge and experience developed over 30 years of award winning selling and a variety of senior management roles. 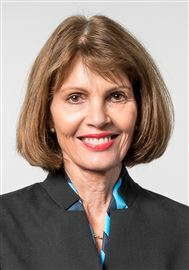 Carol has built a stellar career in real estate which spans from her early days of selling residential, lifestyle and commercial real estate, to successful roles managing offices, acquiring and rebranding of businesses, opening an international commercial real estate brand in Palmerston North, Commercial Real Estate Management and Regional Management in Waikato. 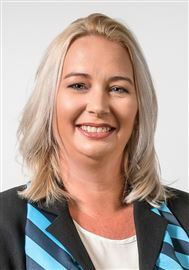 As the Business Development Manager for Harcourts Hawkes Bay, Carol works closely with the Managing Director and General Manager to help with identifying new business opportunities, recruitment and operational aspects. 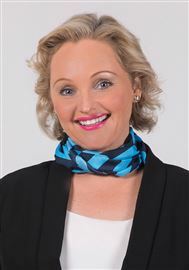 Carol also helps with induction, training and mentoring salespeople to ensure their maximum potential is reached and clients have a fantastic experience with Harcourts. 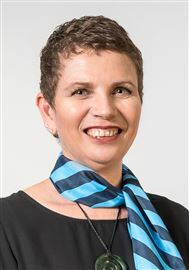 Carol also works with the wider Harcourts Hawke’s Bay Management team to ensure our valued customers receive exceptional service and support throughout their journey with New Zealand’s most trusted real estate brand. Carol sees her position as an incredible opportunity to represent Harcourts Hawke’s Bay and to share her considerable experience gained over many successful and exciting years in the real estate industry. Craig began his sales career in 1999 where he worked in New Zealand and the United States of America. Over the years, he became the number one sales consultant within four different companies, setting company sales records in three of four. Craig's hard work paid off, and he became sales manager for two of these companies. Craig believes his success in sales was pinned down to three key points; enthusiasm, dedication to learning, and striving to deliver unbeatable customer service, key aspects he encourages the sales team to live by. With Craig’s knowledge, skill set and attitude to deliver a great product, he is an asset to both our customers and the sales consultants alike and expects nothing less than the highest standard of ethics, customer service and commitment from his team. 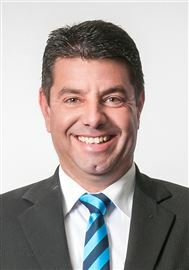 Craig has become a highly successful auctioneer with Harcourts, both locally and competing nationally. He brings to the Auction room an un-equalled enthusiasm which is infectious with the crowd, when you couple that with his affection for detail, his active role in the campaign and high level negotiation skills it is no wonder he delivers great results for our vendors. James comes to the business with 15 years’ experience in media, marketing and communications. The past 4 years he has successfully managed the Eastern Region for NZME. This role covered Hawke’s Bay, Taupo, Gisborne and Rotorua. Whilst at NZME, James was responsible for leading the content, sales and the marketing strategies for the eastern region. Most recently, James was awarded NZME General Manager of the Year and also led the Hawke’s Bay Sales team to the final for the 2016 New Zealand Radio Awards. James has a strong background in marketing and is passionate about delivering exceptional customer service. In 2010 he graduated with a Masters of Business Administration from the University of Waikato, where his major research project investigated ways to improve the overall customer experience. James is also passionate about people, the local community and learning. At Harcourts we have a simple philosophy –together we create success. 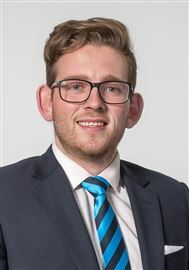 We are excited to welcome James to our Hawke’s Bay Harcourts team, and look forward to many years of success to come. 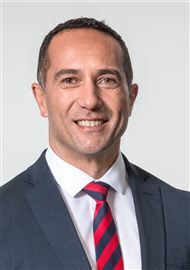 Kaine Wilson is the Company Owner and Managing Director of Harcourts Regent Realty Limited. Partnering with like-minded people is everything in my business. I am striving to employ and train the best Real Estate Agents and Managers in Hawkes Bay. I am totally committed to the industry and its demands. I believe as a Company we can never rest on our laurels and are only as good as our last sale. In the rather hectic world of Real Estate I affirm family values not only for myself but for my staff who partner with me to provide our clients with the best possible service every day. I am committed to providing the best systems and technology across all our divisions in keeping with new market trends and development. I believe every buyer and seller or future client should have the finest Real Estate experience our industry has to offer when talking to Harcourts. I will always ensure my best endeavours to take Harcourts in Hawkes Bay to the next stage of development so we continue to grow and uphold our stringent and uncompromising standards. Wendy is an integral part of the Hawkes Bay Harcourts team. Her long serving commitment to the Company, Management and Sales Consultants is legendary. Her ability to foster professional working relationships within the four Hawkes Bay Harcourts offices means that she has her finger on the pulse 24 / 7. This truly challenging position can only be filled capably by a person that has the ability to multi task. Her consistently cheerful approach and infectious laugh make her a pleasure to work with and an important asset in the lively and well-balanced office. Cordel is part of a new age breed of Real Estate Sales Consultant. He is young / youthful with a lot of energy to give; his understanding of technology means he is able to put his clients properties in front of more potential purchasers than most. Cordel is full of laughter and fun which makes the whole process enjoyable for his clients while delivering the results they want achieve. “I go the extra mile for my clients to make sure their Real Estate buying and selling process is the best that it can be.” - Cordel Poynter So what are you waiting for? Let's meet up for a coffee and discuss your Real Estate needs further! Eddie came to us from London, England which gives him a more worldly view on our property market. He spent 35 years in the building industry, this gave him an abundance of knowledge in regards to building methods and materials used in housing. Having built and renovated many homes in Hawkes Bay, Eddie is both extremely capable and proud to be part of the selling process. This helps him achieve fantastic results for his clients. Having lived in Havelock North for 22 years he has developed an expansive network of contacts - locally, throughout the country and overseas. Eddie has a strong customer focus, and strives to give his clients the very best in customer service and care, keeping them fully informed and up-to-date every step of the way. Whether it is building or real estate, Eddie's core values are the same - honesty, integrity and good old hard work. After over six years of successfully selling real estate, Jan & I have developed a fantastic relationship with many of our clients and have a well tested programme to ensure the best service and results. "The Mackies" Client care is of the utmost importance, ensuring we build a good report with the client, regular vendor meetings and good communication. We are experts are getting premium prices, with a 100% Auction success rate in 2017, we welcome all new clients to find our why "The Mackies" are awarded the #1 Realtors for Harcourts Hawkes Bay. Kelly has always had a real passion for the real estate industry so it was logical she joined Harcourts and became a real estate agent. Having worked in the real estate industry for a number of years now, Kelly uses her passion and drive to help other people. 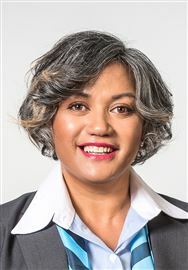 She loves living here in Hawkes Bay, and has a vast knowledge of the area to offer to clients. Marie Scott has worked for Pete Scott as his Sales Associate since 2004 and has a friendly charming manner which puts her clients at ease immediately. She has the ability to work both as a personal assistant or a buyers agent and is talented at both roles. Perhaps her ability is a clue to Pete's success of recent times, long may it continue for both of them. "Matt Webb comes to the NAI Harcourts commercial team, with 18 years of experience in the education sector behind him. 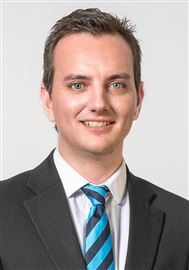 Originally from Wellington, Matt was previously involved in the establishment of a charter school, and various management and leadership roles at independent schools such as King’s School in Auckland, and Hereworth in Havelock North. During his time in education Matt established a proven track record of the development and implementation of tailor made solutions for clients and stake holders. He has highly developed organisational, communication and problem solving skills, and is looking forward to utilizing those in order to assist our clients with their strategic and operational needs. Matt is trusted and respected within the Hawke's Bay region, and has an established and wide ranging network. He is passionate about supporting others in order to help them achieve their goals, and excited about helping our clients achieve success". As a born local, Nicky Cranswick is recognised as a top performing seller and was awarded ‘most promising sales person’ for the East Coast region by her previous company. 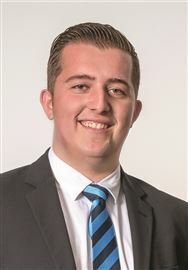 Nicky’s focus is to be a top 10% agent in Hastings, specialising in new builds and existing properties. With 7 years’ experience in the building industry Nicky understands both the market and how a home is properly constructed giving her the skills to sell your home for it’s true worth. “In Real Estate sales, you need to be a great negotiator who can communicate well at all levels, whilst having patience and compassion when selling someone’s home, I believe in making it an awesome experience. I’m an agent who will listen that’s backed by a high performing brand you can trust, hence why I choose to work with Harcourts” say’s Nicky. Nicky’s high level of enthusiasm and passion is abundant, guiding you through the selling process at your own pace and assisting with handy ideas and techniques that will take your home to the next level. Partnered with creative flair when marketing your property and her personal commitment to excellence through customer service she has the recipe for success to deliver the result you can only dream of. As one vendor said; “Nicky was our first choice when it came to selling our home again, she delivers genuine support with expert market knowledge and the utmost attention to detail, we totally trust her”. R Askes Another simply said: “After getting the run around and feeling like we wanted to give up on buying our first home we were referred to Nicky, she appeared with the solution and four weeks later we moved into our forever home, she was the best real estate agent in the world. The service we received was exceptional!” J Henning Outside of work Nicky is a proud Mum of young 4-year-old Benjamin, lives in Mayfair and enjoys visiting her family out at the beach. She’s also the founder of ‘Kitting out Kiwi Kids’ a local charity clothing drive collecting unwanted clothing, school items and sportswear to distribute amongst local children. She also enjoys in taking part in other fun theatrical events like the blossom parade and Star’s in Clive’s Eyes. For outstanding service and outstanding results call Nicky today! Pete has been with our team at Harcourts Hastings since 2002 and has proven to be a consistent top achiever in both listings and sales. Easy to relate with most people and willing to work hard to achieve a positive result for both buyer and seller, these attributes have seen him succeed within our company. Not only this, but also be consistently in the top three for Harcourts Regent Realty Hawke's Bay. It was in 2004 that Pete's wife Marie joined him in his exciting real estate venture, and the two have done great things together since. They both bring a lively can-do attitude to our team here at Hawkes Bay Harcourts, lightening up the atmosphere of what generally a professional environment. Integrity, honesty, attention to detail, determination and a passion for people, are traits which define Steve Knights. It’s these core values, combined with his extensive business and marketing knowledge, which drives Steve to deliver an exceptional experience for you - all with the aim of marketing and selling your home with the least amount of stress, for the best possible result “Your home is your sanctuary and we all invest time, money and passion into our homes- It’s the ‘Kiwi Dream’ to own your own special home. I am passionate about helping Kiwis achieve that dream” Steve understands that marketing is essential to exposing your property to serious buyers. Having spent over 25 years in various marketing roles Steve knows how to market your home to both active and passive purchasers of property. Outside of Real Estate, Steve’s service to sport has seen him recognised as the first professional coach in New Zealand in his chosen sport, to officiate at Seven World Championships - culminating in refereeing at 2008 Beijing Olympics. To succeed in the high-performance sporting arena, you need to be an exceptional listener and communicator. By listening carefully to his clients and providing exceptional communication, Steve ensures that his clients receive ‘Gold Medal Service’. Finally, Steve comes from a proud tradition of real estate agents, with both his parents having successful careers in the industry. So, for Pedigree, Passion and Partnership with Harcourts, New Zealand’s most trusted real estate brand, pick Steve Knights. Call Steve today to discuss your Real Estate needs. Brenda recently moved to Hawke's Bay from the Waikato where she worked in Property Management for the past eight years. Brenda's experience in Property Management has allowed her to observe it's changes over the past few years and the new challenges that have appeared for property owners and tenants - she keeps herself up to date with changes in legislation in order to pass this information on and keep her knowledge fresh and beneficial for all owners and tenants she deals with as part of her role as property manager. She has always loved Hawke's Bay, naming the climate, lifestyle, wineries and fruit as some of the most enviable traits of this region, as well as having family in the area. Brenda enjoys the diverse range of people she meets through her role and forms many good working relationships. Supported by a great team at Harcourts Hawke's Bay, Brenda is excited to continue her Property Management journey with us and looks forward to working with you. Paul has been in the property market for many years and this has given Paul an in depth knowledge of all facets, this is why he has become one of Harcourts top Property Managers. He is constantly in the top 10 in the Wellington Region and his dedication and loyalty is a reflection of this achievement. Paul's infectious honest approach will surely provide a memorable experience when using Harcourts Property Management. Along with these attributes, he brings to our team an abundance of humour, diplomacy and superb communication skills. Brenda joins Hawkes Bay Harcourts with a large amount of knowledge in her field, having worked a similar role for 28 years. On top of her extensive experience, Brenda has also completed a course in management and supervisory. Since 1990 Brenda has spent her spare time at the gym instructing group fitness classes, and it was in 2005 that she qualified to instruct the infamous Les Mills fitness classes. Dean is a graphic designer and motion graphics artist with several years experience in the design industry. Dean produces custom online content and manages social media for the company, in addition to providing design input. Diane has been working in various administration roles for most of her working career from behind the scenes, to first point of contact and now mainly behind the scenes again for the Mackies. Diane enjoys working with people and doing the groundwork! She has a can do and willing to help attitude, bringing the team together and building great relationships, any problems or queries feel free to give Diane a call. Nadia is a self-taught graphics bomb, and manages the company's advertising and print design role. With this position being very deadline driven Nadia is looked upon as very efficient and extremely patient. A pleasure to have in our Company. Olivia has come to us after having returned from her OE in UK and prior to that had an Administration role in Napier after completing her Business Study degree. Olivia brings a calmness to our staff and salespeople with her lovely relaxed nature. She is extremely efficient and has great life skills making her a pleasure to work alongside. Great Do Up - Good Location! Leaving Town - Priced to Sell! Lock & Leave Or Family Home? Final Week! Buy It At Auction! Priced & Ready To Sell!! Loved Family Home Must Go!! Loved Family Home Has To Sell! Top Location, Grab Me NOW! Perfect First Home or Rental! My Owners Are Leaving Town!!! Price Drop! Priced To Sell! Mum Has Moved - Time To Sell! Investors Dream Must Be Sold! Time To Go, Must Sell! The WOW Factor, A Must See! Huge Potential - Must Be Sold! Ready To Invest Elsewhere !! Spacious Unit & Very Tidy!